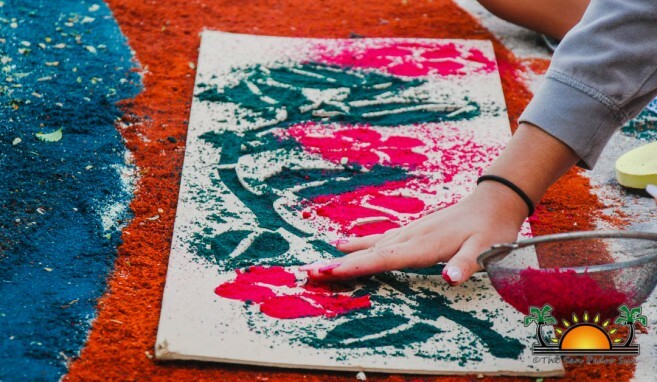 Easter is considered the holiest time of the year among many religious communities around the world, particularly celebrating the resurrection of Jesus Christ on the third day after his crucifixion. 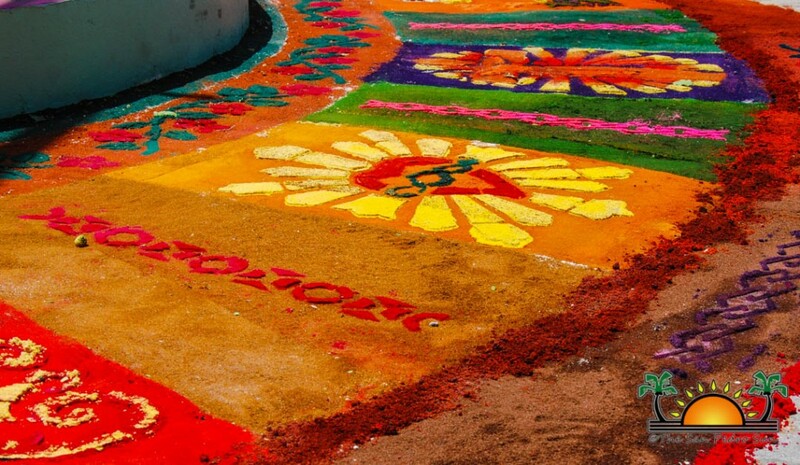 In San Pedro Town, the Roman Catholic Church observes the occasion every year with many scheduled events to honor Christ. 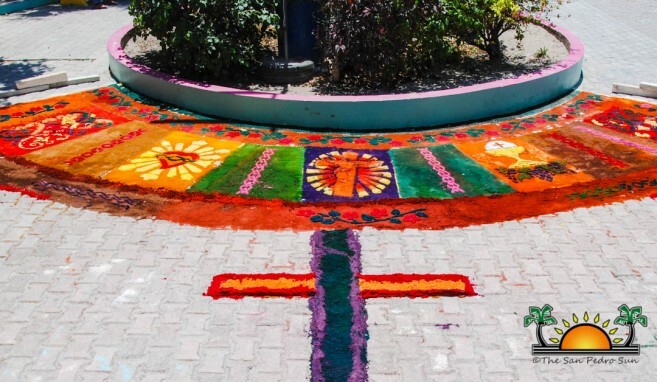 This year, besides the special church activities, the San Pedro House of Culture (SPHC) joined the celebration by creating elaborate sawdust carpets in front of the Catholic Church. 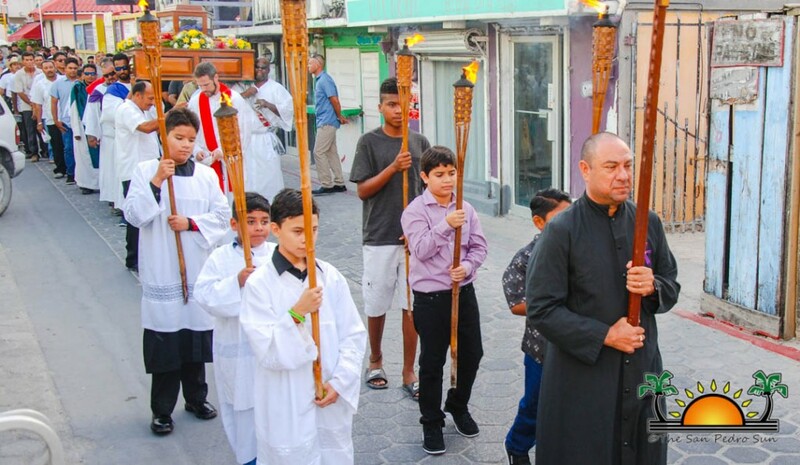 Religious events began on Sunday, March 25th, with the observance of Palm Sunday. The event included a procession at 7AM from the Roman Catholic Primary School and a mass along with a Passion Play at 8AM. 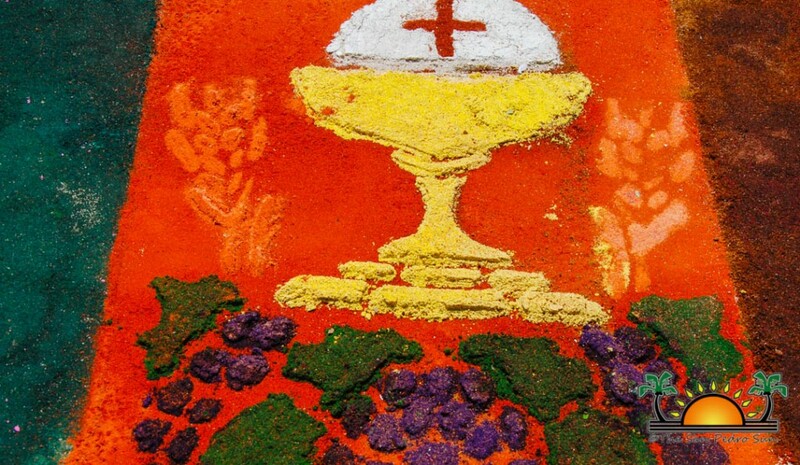 On Thursday, March 29th there was another mass at 7PM, followed by a Eucharistic procession along with a silent adoration that ended at midnight. 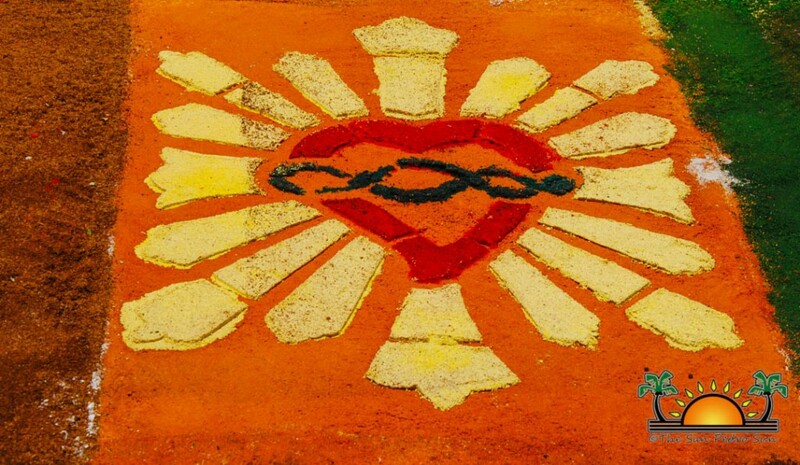 As early as 7AM on Good Friday, (March 30th), Guillermo ‘Mito’ Paz of SPHC, along with several volunteers began painstakingly creating the traditional sawdust carpets. 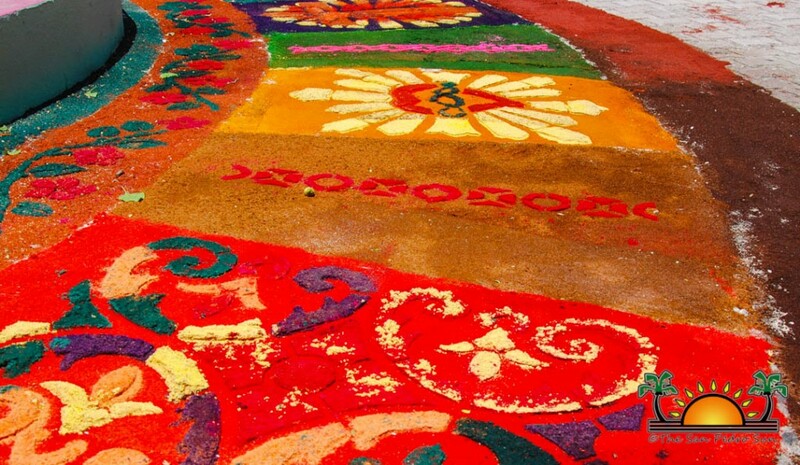 The sawdust carpets are a Spanish tradition that was brought to the Americas and is still observed in Mexico, Central and South America as well as in the border town of Benque Viejo del Carmen in the Cayo District. 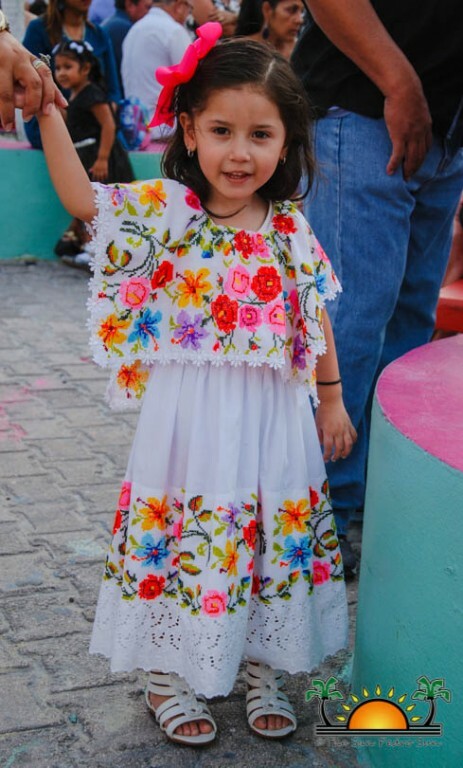 This is the second year that the SPHC is undertaking this creative venture, and Paz is already looking forward to hosting the event next year again. 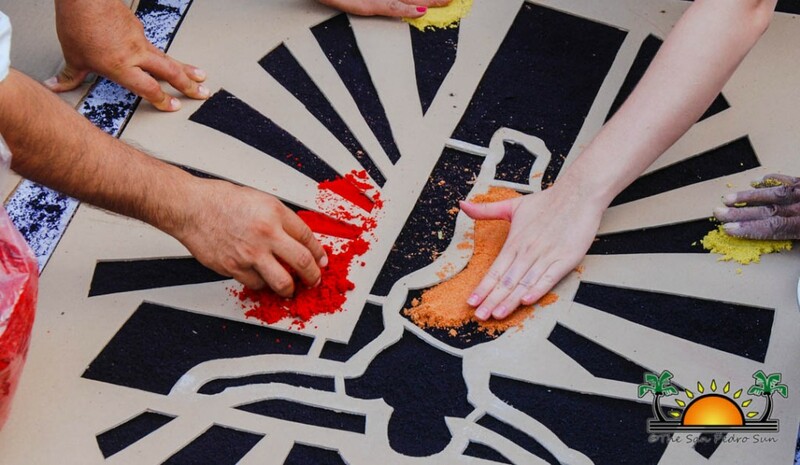 After over five hours of collective work, the carpet was finished and both locals and visitors admired the masterpiece that depicted different figures, including a crucified Jesus among other designs. 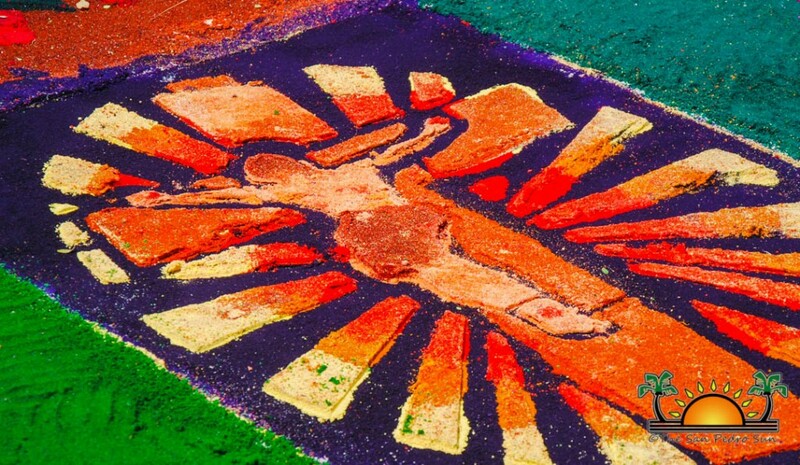 Good Friday is considered the most religious day in Catholicism as it is the day when Jesus endured agonizing suffering to deliver humans from their sins. 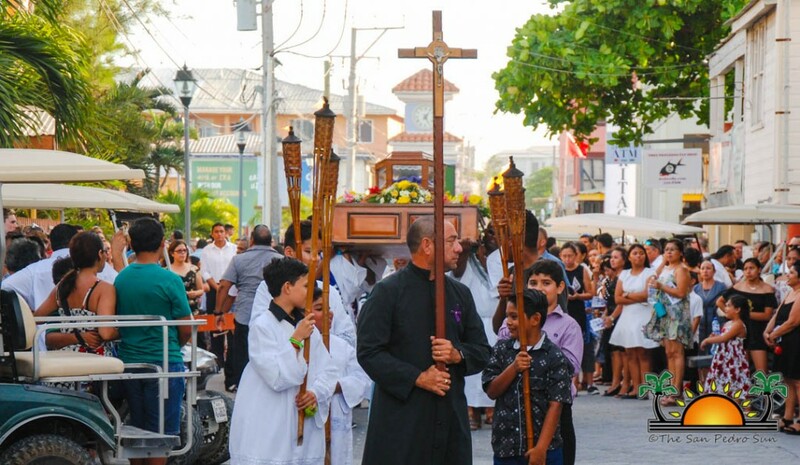 Around 5PM the Stations of the Cross were observed, followed by a Holy Procession known as ‘El Santo Entiero’ through the main streets of the town. 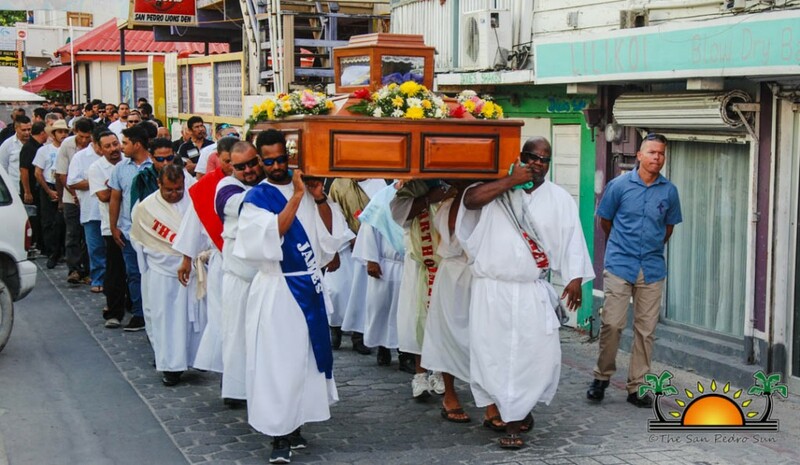 Men carried a casket symbolizing the body of Jesus Christ, while women carried the statue of the mourning Virgin Mary. 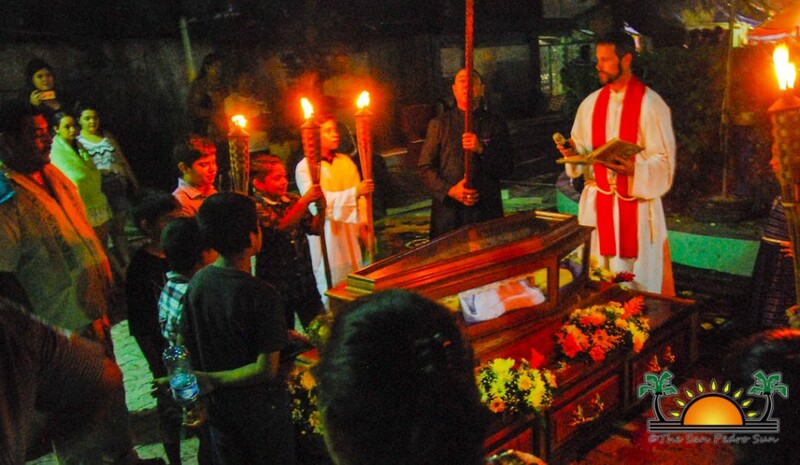 After the procession, everyone convened at the church where the burial of Jesus was re-enacted. The events continued the following day with a Divine Mercy Chaplet and an Easter Vigil and Sacraments. 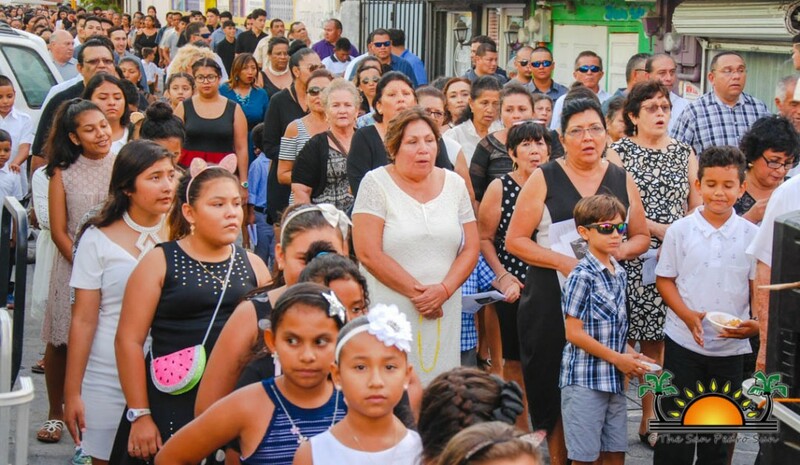 They culminated on Easter Sunday, with the ‘Encuentro’ at 7AM, commemorating the resurrection of Jesus Christ. The religious Easter celebrations ended with a Divine Mercy Service and a morning mass at 10AM.